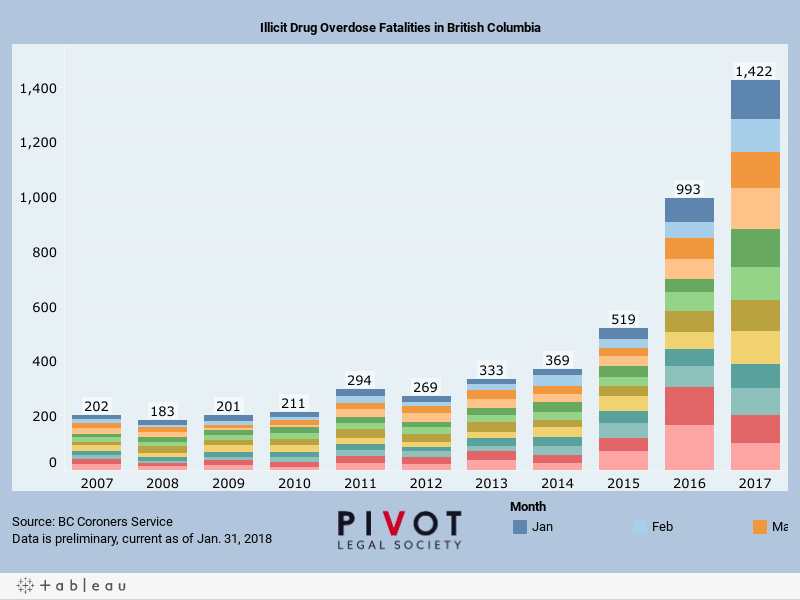 The figures represent a 43% increase from 2016, when there were 993 overdose deaths. Data is current as of January 31, 2018. Values have since been revised.